Mung beans are the most easily digestible pulse. As they require less energy for digestion, there is more energy available for us to use! They are renowned for their cleansing, healing and strengthening properties and are balancing for vata, pitta and kapha, which makes them the ideal food for a detox. The whole beans are green in colour and need soaking, you can also buy split mung beans from Indian shops – they are yellow and do not need soaking. As a rule of thumb use 3 parts water to one part beans. Put the drained beans in a saucepan with plenty of water. Bring to the boil, skim off any froth, then add the curry leaves and kokum and cook on a low flame until tender. In a separate pan warm the ghee and fry the mustard seeds on a hot flame until the seeds begin to pop. Remove the pan from the heat and cool slightly before adding the cumin and asafoetida and briefly fry. At this point you can also add some vegetables. Then add the garlic and powdered spices and cook for 2 mins more. Finally, add the ginger and cooked mung beans and season to taste. Cook for a few more minutes before serving. You can garnish with chopped herbs e.g coriander, parsley, dill or rocket. 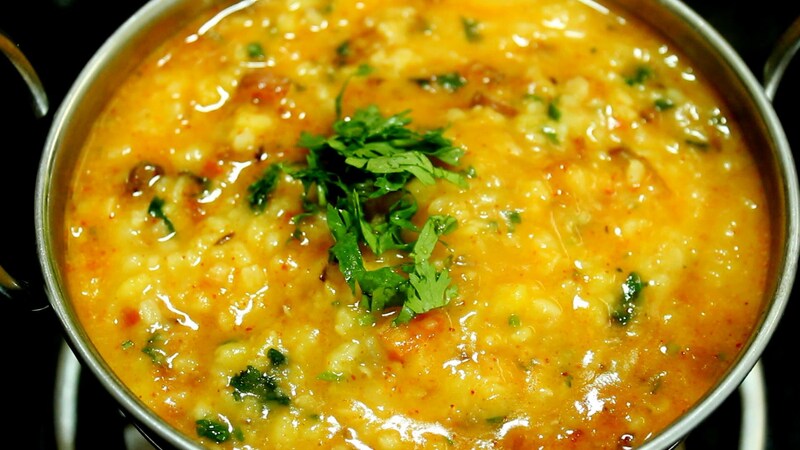 Kitcharee is a blend of split mung and rice cooked together with spices. It is light and easy to digest and therefore is an ideal food for re-balancing and gently detoxing. Quantities are for 1-2 people. These spices are for a warming kitcharee. 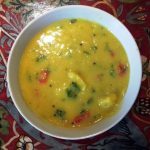 A simpler version can be made with less spices e.g asafoetida, cumin, ginger, coriander and turmeric or cumin, ginger and turmeric. Simmer the mung for 10 mins in the water with a lid on. Then add the basmati rice and cook a further 15 mins. 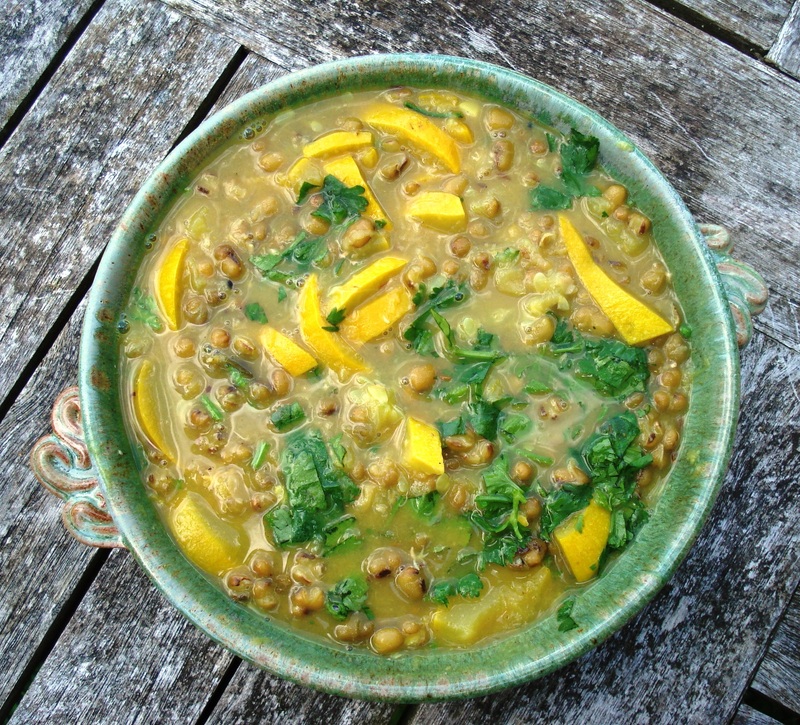 Meanwhile warm the ghee in a large pan and roast the mustard seeds until they begin to pop. Remove the pan from the heat and cool slightly before adding the cumin and asafoetida and briefly fry. Then add the next group of spices and the carrot and fry for 5 mins. Finally add the final spices and a little water. Cover and simmer until the carrot is tender. Mix all when they are ready and add the chopped coriander immediately before serving. Kitcharee is best eaten fresh, but if you do have leftovers it can be made into a croquette and fried up the next day. Other vegetables can be used as well as carrot: courgette, French beans, red pepper, fennel etc. Wash the mung dal well and cook with the water, curry leaves and kokum until soft. remove kokum pieces and blend. 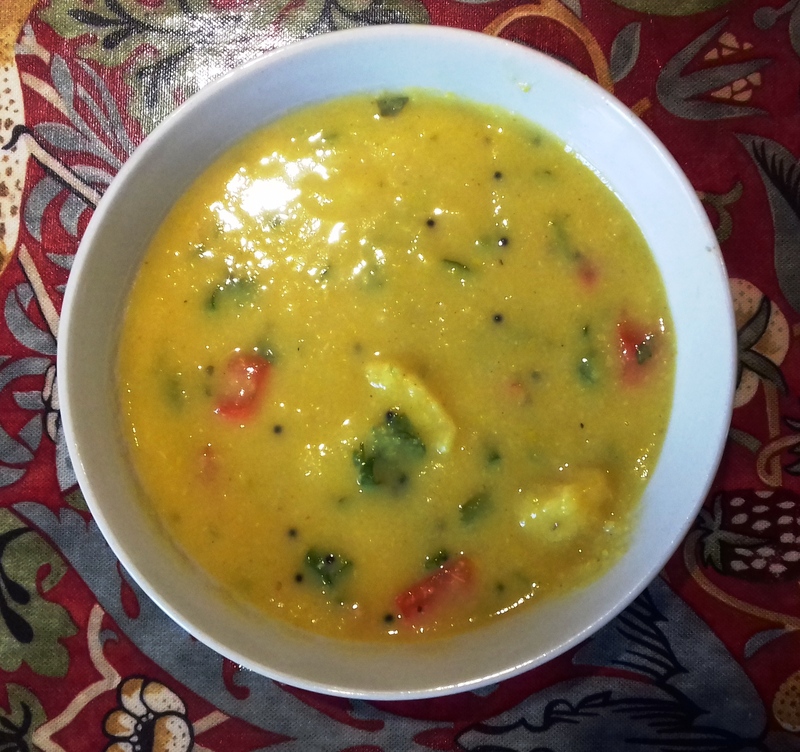 In a seperate pan fry the mustard seeds in ghee until they begin to pop, then turn off the heat before adding the asafoetida and other spices. Next add the coconut milk and small vegetable pieces. Season well and add more water/liquid from the cooked mung and simmer for 5 mins until the vegetables are just tender. Add the blended mung and warm thoroughly. Serve with plenty of chopped coriander. Delicious! Cook the split mung and chopped vegetables in plenty of water until soft. Fry the cumin seeds for 2 minutes in the ghee, then add the onion and fry gently until golden and soft. Add the garlic and fry until fragrant. Add the cooked mung, season well and cook for a few minutes more. Blend with a hand blender. Add lemon juice and chopped parsley before serving. Cook the mung beans until soft. Fry the first group of spices for a few minutes, then add the garlic etc and fry 2 more minutes. Add the coconut milk, cooked dal and salt to taste and cook together for a few minutes. Stir in the spinach/coriander just before serving. Serve with basmati rice.